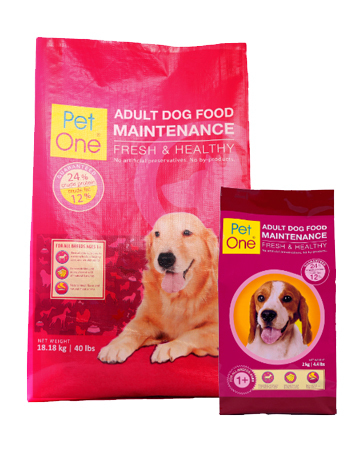 Pet One Adult Dog Food Maintenance is recommended for dogs of all breeds ages 1 to 7 years with moderate activity levels. Its bioavailable nutrients include bananas for that extra nutrient and energy-boost to keep your dogs constantly happy and healthy. With its natural aroma and flavor, your dog will most definitely love the taste. 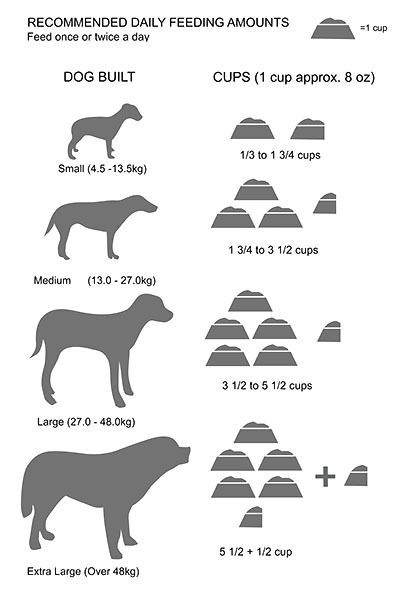 Poultry meal, ground rice, beef tallow (preserved with mixed tocopherols, source of natural vitamin E) high protein soybean meal, dried banana meal, banana flour, rice bran, flax seed, dried brewers yeast, spray dried whole egg product, lecithin, calcium phosphate, amino acid supplements (L-Lysine HCl, DL-Methionine, L-Threonine), yucca schidigera extract, salt, trace minerals (copper sulfate, ferrous sulfate, magnesium sulfate, manganese sulfate, potassium iodide, sodium selenite, zinc oxide), vitamin supplements (choline chloride, vit. A, vit. D3, vit. E, thiamine mononitrate. riboflavin, vit. B6, vit. B12, niacin, biotin, folic acid).